During our trip to Turkey, Lola and I had a chance to briefly meet with my Turkish friends from MIOPS.com, the talent behind MIOPS Smart Trigger and Nero Trigger (see our detailed review of Nero Trigger). MIOPS is a small business that operates out of Turkey, with an exceptionally knowledgeable team of software and hardware engineers. I first met the MIOPS team at the Photo Plus Expo in New York back in 2013 and since then we have become good friends. So when they found out that Lola and I were flying out to Istanbul, they invited both of us to their corporate office for a tour of their production facilities. Since I had a couple of cameras with me during the trip, I requested to record an interview with the team in order to introduce both the product and the talented team behind the product to our readers. In this article, I would like to share the recorded interview with our readers and provide some information on the MIOPS Smart Trigger. If you have never heard of this little device, I would definitely encourage you to read on, since this little gadget might get your creative juices flowing with all kinds of new photography ideas. Let’s take a look at the MIOPS Smart Trigger in more detail. What is MIOPS Smart Trigger? 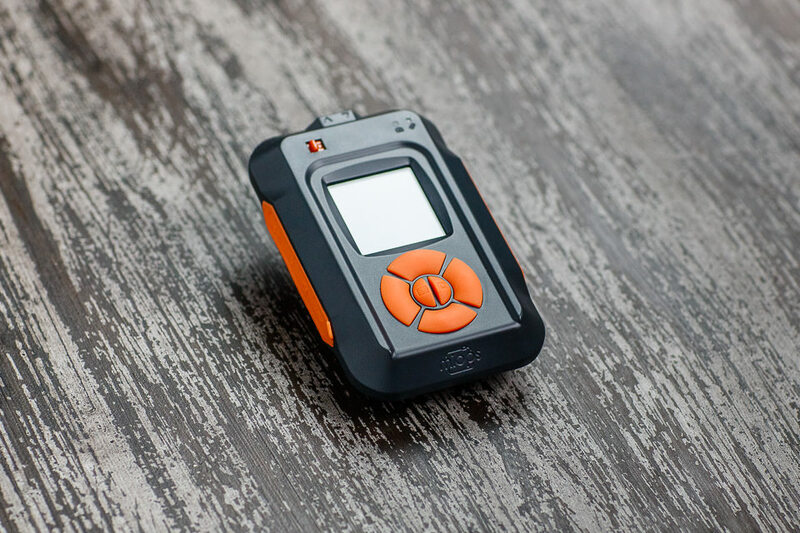 In a nutshell, MIOPS Smart Trigger is a multi-function accessory that can be used to trigger both your camera and a flash unit when a specific event such as a lightning takes place. It has several sensors and inputs to feed data into the device, so it is capable of monitoring light, sound and even laser events. 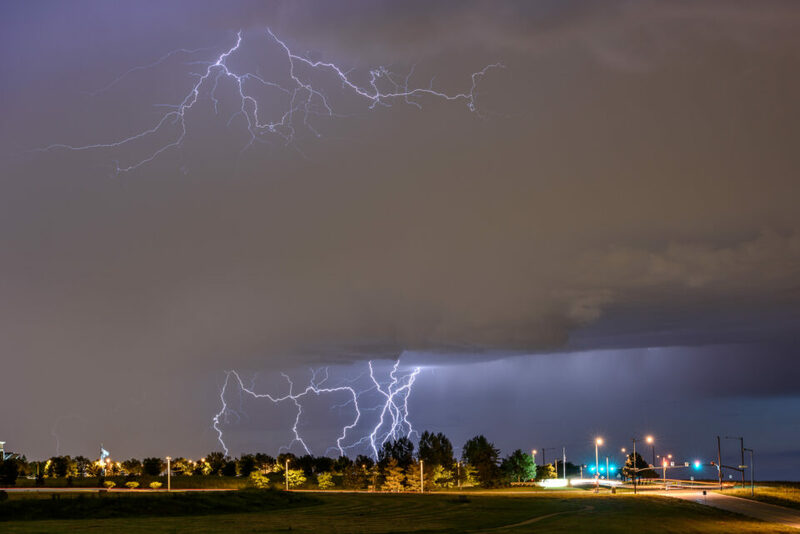 Thanks to its ability to adjust different sensitivity levels, along with the ability to delay action, one can use the tool for all kinds of creative photography – from capturing lightnings to doing high-speed photography. 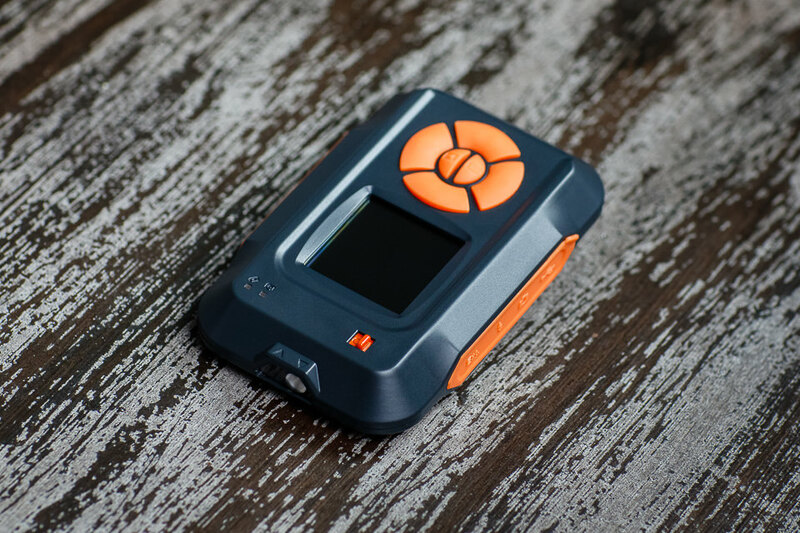 If you have seen those epic photos with bullets piercing through objects, or water droplets making exquisite shapes upon impact, those were probably captured with a similar device, since everything has to be timed perfectly – something the MIOPS Smart Trigger is capable of doing. Those who have previously experimented with high-speed photography involving object collisions know how hard it can be to time things right, especially when doing everything manually by hand. So when the MIOPS engineering team embarked on the project to create the ultimate camera and flash trigger, they knew that they had to create a solid all-in-one solution, built on real user feedback. After integrating multiple sensors, a bluetooth chip for remote control, an intervalometer and a few other user-upgradeable software capabilities, the MIOPS Smart Trigger was born. However, with rather nasty and rainy weather that typically accompanies epic storms, the inability to just leave the camera in a spot and control the capture process remotely was one of the major pitfalls of the Nero Trigger. MIOPS fully addressed that problem, so now you can avoid getting soaked and sit in the comfort of your home or your car, while the trigger will do the job. All you have to have is install an app on an Android or an iOS device and after the device is synced up via bluetooth (which literally takes a few seconds), you will be able to run through all the commands remotely. The device can sit on the hotshoe socket of your camera and in order to trigger your camera, it needs to be connected through a cable, which is compatible with the accessory input of your camera. This means that your camera must have this accessory port, or the device won’t be able to communicate with your camera. To see a list of compatible cameras, please visit this page. Fortunately, most cameras out there, including many entry-level cameras from Nikon, Canon, Sony, Pentax, Fuji, Olympus, Panasonic and other manufacturers are fully compatible – you just need to get the right cable for the unit. Once the unit is connected, you are ready to go! If you want to connect to an external speedlight for high-speed photography, you can use a male mini to PC Sync cable and connect it through the side socket of the MIOPS unit. 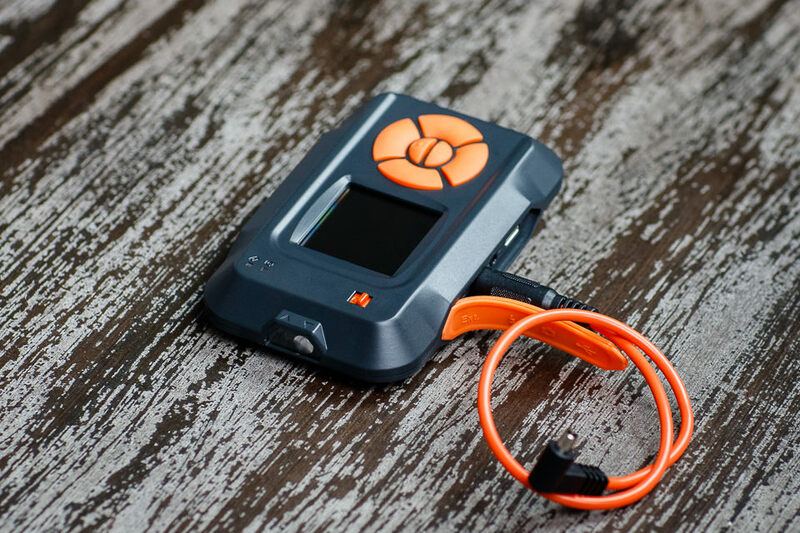 The MIOPS is capable of triggering both your camera and an external flash unit at the same time! If I did not have the MIOPS with me, I would have to stand there with my camera while it was raining. I captured the above shot while sitting in my car, which was very nice! 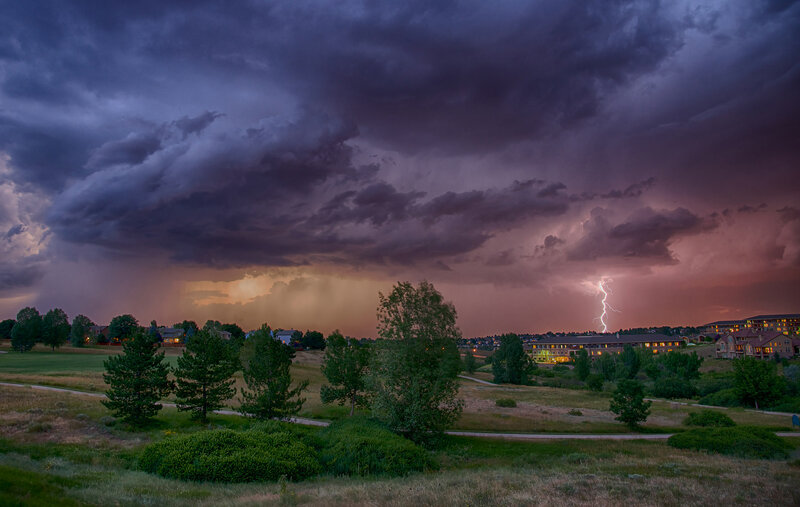 Thanks to a long exposure, I was able to capture multiple lightning events in the scene – one that was happening at lower altitudes and one that took place higher in the clouds. The nice thing is, once the camera is connected, you can use a mode like “Press & Hold”, which once you set your camera to Bulb mode, will allow you to control the shutter speed of your camera manually. I am not a timelapse expert by any means, so the video probably looks rather boring (in fact, this was my first attempt at shooting a timelapse). Next time I am out in the field, I am hoping to bring along a slider to capture some movement. This is one area that I have not explored much yet. I shot the interview with a set of Sony A6300 cameras, using Sony 35mm and 50mm prime lenses. The camera is amazing at capturing video (it can shoot 4K video and up to 120 fps in 1080p) and there is finally a microphone input, but Sony strangely omitted the headphone input, which makes me wonder what they were thinking. The lenses for the A6300 were rather disappointing to shoot with, but we will leave that to the upcoming review of the A6300, which I will hopefully be working on soon. We will be posting a full review of the MIOPS Smart Trigger in the next couple of days, so stay tuned! Do you know is this Device able to do ramping (time, iso) for timelapses. If not, you may consider the app (android, ios) qdslr. The device does not do bulb ramping with the current firmware. We plan to add this feature with the next firmware release. I am very interested in getting my own unit for my next Asia trip… do you have a set workflow for photographing lightning that you can share… camera settings, miops settings, etc? Will it work with the Sony A7RM2, or the Canon M25D? I know it is compatible with the Nikon D800… do I need a different cable for the Sony and the Canon? Or is it connected via the USB? Thanks! Thank you for the article on the MIOPS Smart Trigger. As a bird photographer does this device have the capability to trigger the camera shutter as an object flies through the camera field of view? I am thinking of when a bird flies to it’s nest or nesting box, or to a bird feeder, or simply a bird in flight? What is the cost? Thanks. Yes. It has a builtin “laser” trigger, really the same photdetector used for lightening mode — shine a small laser at it then it will trigger when you break the beam after a settable delay in milliseconds. I used it to do a series of photos dropping into a warer tank photos — you know, the usual suspects, fruit, fists, etc. It will be just as happy to tigger on a bird flying through the beans as it was to trigger when I dropped an orange through it :-) You can also plug in user supplied triggers, pressure pads, ulta sound, etc., IIRC. I clicked the “review of Nero Trigger” link and it answered my previous questions. The device sounds very useful. That looks like a really cool and useful gadget! By the way, for anyone interested in just timelapse photography, there are far cheaper solutions. There’s a large choice of third-party intervallometers (I use a 15 $ one), as well as different kinds of apps for all platforms imaginable (e.g. DslrDashboard that can be programmed to automatically ramp exposure time, iso, etc). I’ll try again to link to my video below, and if one of the PL team can fix my original post, please do so and feel free to delete this message! Thanks for the preview Nasim. No need to appologize for anything in your articles. You site content is awesome. I’ll have to try the myops. Can it also help with 5-7 frame HDR? My bracketing on the d600 is only 3 frame and Im always using exposure compensation to overcome the limitation. From my experience it does not work well to do HDR. I have the d600 and I never use the HDR feature on the miops. It is more complicated than the bracketing feature built into the camera. One possible advantage is to shoot the HDR images using MIOPS and RAW, and then combine the images in post-processing. The camera can only do HDR with JPG. important if you shoot lightning.